Dr. Anne Angle and her highly trained staff provide the latest orthodontic techniques in a state-of-the-art office with a friendly environment. Please use our website as a tool to learn more about orthodontics and give us a call when you are ready to schedule your free consultation. We look forward to hearing from you! Angle Orthodontics is located in the suburban Philadelphia town of Oaks, Pennsylvania, near the Route 422 corridor just minutes from King of Prussia. Dr. Angle understands the importance of choosing the right orthodontist. Dr. Angle treats each patient as she would her own children, using state-of-the-art technology in a home-like atmosphere with a caring staff. Dr. Angle’s patients, children and adult alike, enjoy the comfortable atmosphere and excellent care they receive at Angle Orthodontics. 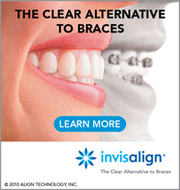 Come in for a complimentary consultation and find out why! Everyone’s time is valuable, so we strive to see all patients in a timely manner. We look forward to meeting you!